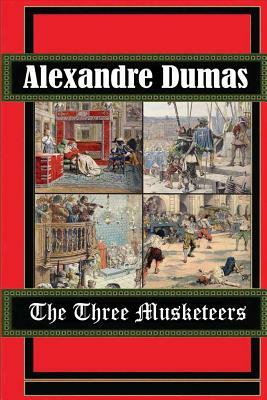 "All for one and one for all "The young and headstrong D'Artagnan, having proven his bravery by dueling with each, becomes a friend of Athos, Porthos, and Aramis, members of the King's Musketeers. He is in love with Constance Bonancieux and, at her urging, he and his friends head for England to reclaim two diamond studs that the Queen has imprudently given to her lover, the Duke of Buckingham. Richelieu, the chief minister of King Louis XIII, will resort to anything - even murder - to stop the Musketeers from interfering with his plan to ruin Queen Anne's reputation, and her influence over the King.The Three Musketeers is one of the world's greatest adventure stories, and its heroes have become's ymbols of youth, daring, and friendship. Behind the flashing blades, Dumas explores the eternal conflict between good and evil. Includes unique vintage illustrations.